Does it hit the mark? Not quite. At least, not for the time being. 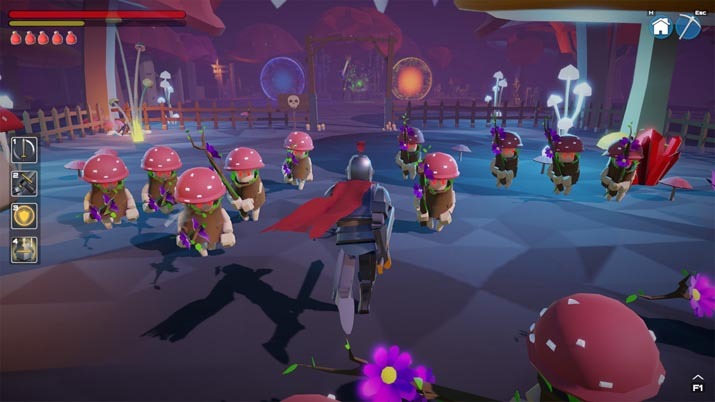 MyWorld aspires to be the fun, younger brother of World of Warcraft and Diablo, with the addition of player-made content; in its current state, though, it's hard to tell whether the title can live up to the studio’s ambitions: there isn't much to experience now, aside from a limited world builder and a host of lackluster combat. 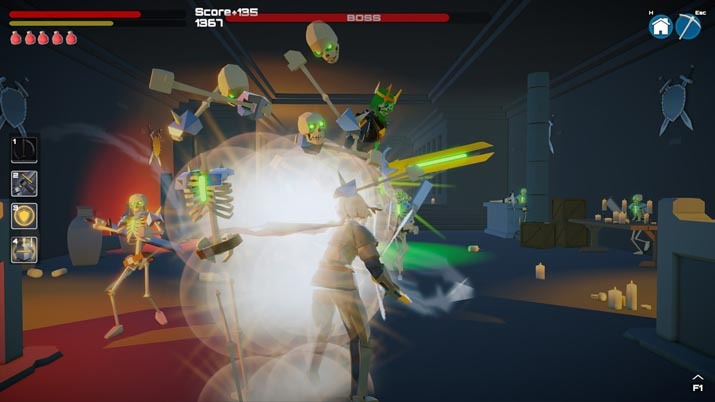 Its game modes are unlocked through the “Hub World,” where you’re required to walk your character into portals in order to access its play styles, such as world creation and online multiplayer, and, while I can sympathize with the intended effect (more immersive experience) the system to access such basic features feels cumbersome, somewhat tedious. 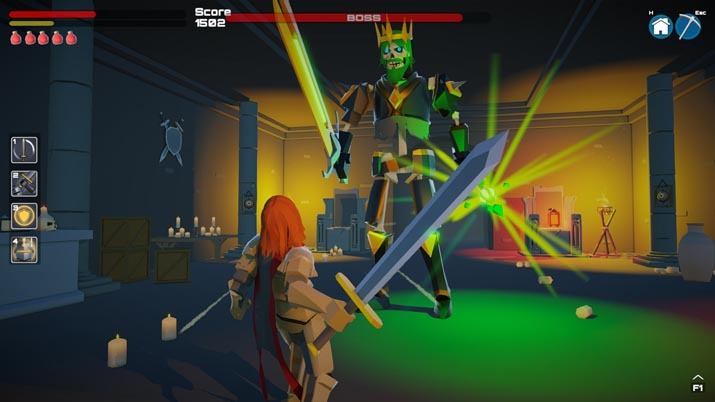 Combat is what you'd expect out of a point-and-click adventure played in third person. Timing your swings properly is important, for each action the character performs, the game responds roughly one second later. This can cause over-clicking and missing your target, or using all your health potions. Currently, you have no choice but one class to play. That's the knight: a slow-swinging, two-handed expert with the bad habit of hitting so hard he'll move right past his target. Four hotkeys tie to his abilities, but the abilities neither evolve nor grow in power. Yes, your character levels up after killing enemies and completing quests, but the progression is arbitrary, as its unrewarded. This, we're told, will soon change, as The Game Creators are currently working on an XP system to include rewards and hero benefits. More troublesome is the identical NPC enemies. You’ll face mobs capable of melee or ranged attacks, and then beefier opponents: MyWorld’s mighty bosses. These are extraordinarily hard to kill alone. It’s clear they require a team to bring down, but despite the challenge they might present, artificial intelligence feels overly simplistic and without surprise. It’s a straightforward 'see player, attack player' approach that requires brute strength but little strategy. The co-op games, however, bring some hope to early adopters. When teaming up, gameplay improves. With friends you’ll be able to take down the bigger baddies and move through levels without dying a bunch. Still, triumph feels hollow. As for the hyped-up world builder, it might be the most entertaining aspect of MyWord but, at the moment, is quite limited and utilizes preset assets, some terrain manipulation, and a quest maker consisting of 'kill X amount of enemies' or 'collect X amount of items.' Small quirks in camera movement and terrain sculpting can be annoying, and its substantial reward system excessively lessens the game’s difficulty, and consequently, weakens gameplay itself. Sharing levels you create with others through Steam’s Workshop is painless. If you end up with a copy of this game, check out the nightmare scenario I developed entitled “Turret Duels!”, where two teams race to the next portal while being bombarded with turret fire. As of writing, there are nearly one hundred player-generated levels ready to experience, and I’d be interested to see what creative minds can come up with in light of the rather limited world builder available today. 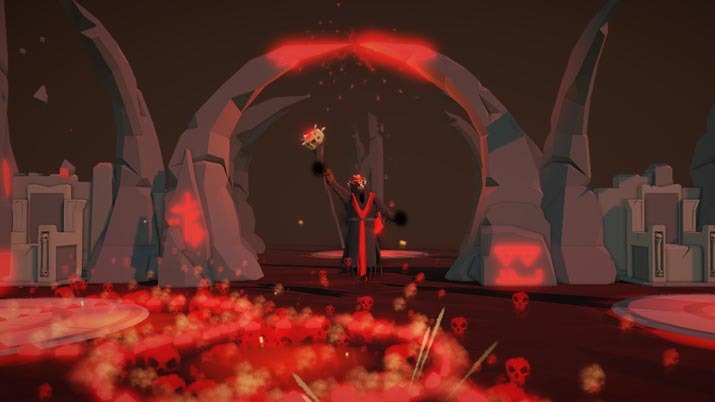 MyWorld seems to exhibit a lack of balance in developing player-generated features and actual gameplay, with little to offer players regarding action-oriented mechanics, combat experience, or quest designs. The content that we consumers might thus create will likely feel rehashed, unoriginal. If you enjoy the cartoonish feel of its polished graphics, and are willing to give the game time to evolve, then MyWorld Early Access may be worth your money. For one, I find the current state of the game too thin, hoping that updates will provide engaging gameplay. Until then, stick to Minecraft or Neverwinter Nights instead.